It’s hard not to compare Code Vein to the likes of Dark Souls and Bloodborne. It’s especially hard not to when a new trailer shows off what appears to be the segments to the game that are clearly taking many pages out of FromSoftware’s book. But that’s exactly what a new Code Vein trailer from Anime Expo is doing. Here’s some of the best upcoming games on PC. Just for you. Showing off the same enemies as the trailer that was shown at E3 earlier this year, it’s in a new setting – some underground caves. It still looks very, very Dark Souls, though. Slow combat, nasty monsters, and even a familiar clunk of the player’s armour. This trailer does show off a few weapons at least, so you can get a feel for how combos flow together in combat. There’s even some enemy variety – instead of your average mind flayer knockoff, there’s a mind flayer knockoff with spikes in his back. Nothing says intimidating like ‘That enemy is harder because he’s got a few stalagmites growing out of it’. 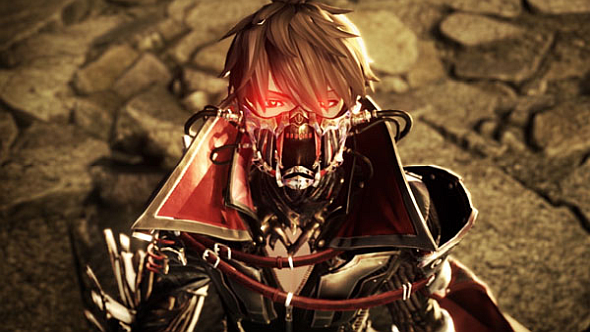 Maybe Code Vein will be exactly the sort of game you’re looking for now that the Dark Souls trilogy (maybe) has ended?